I may have taken on too many projects at the moment, but thankfully my spending has toned down, and I'm really happy with the balance I've struck with using my supplies. There are tools and techniques that I would love to try out, but I know after the initial newness wears off, dust would settle on those had-to-have items. If I were to buy everything that I wanted, I wouldn't have the time to really master something before the next shiny object showed up on my doorstep. My head would be all over the place with ideas, overwhelming myself to the point where I wouldn't accomplish anything. So without a die cutting machine, using the watercolors I want to get better at, and getting more use out of the sewing machine I bought over the summer, I created this layout. 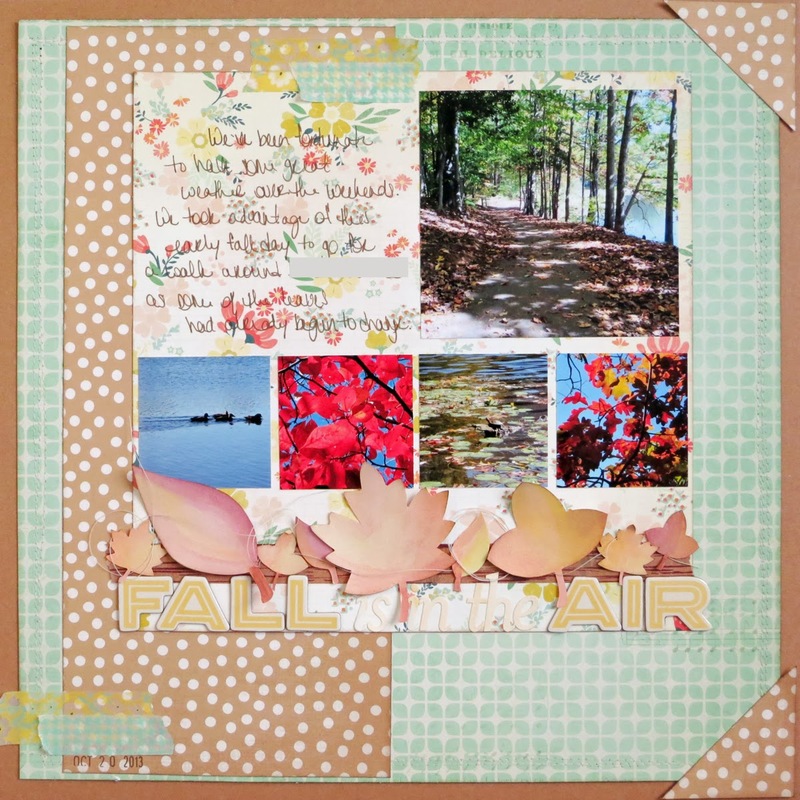 It's for the November sketch challenge over at Life.Paper.Scrapbook. Last month, while I wasn't a winner, I was selected as a Top 3 pick for this layout, which was a very pleasant surprise! Do you keep your supplies to a minimum? What tools can you not live without? Do you have a wishlist? Love it! Especially the leaf border! LOVE your watercolored leaves! Beautiful page! The leaves in the photo and on the page are very nice. Gorgeous photos and beautifully painted leaves! what a beautiful layout! love the leaves and the great photos!! Thanks Lisa, and I knew I wasn't the only one out there without one! This is lovely! 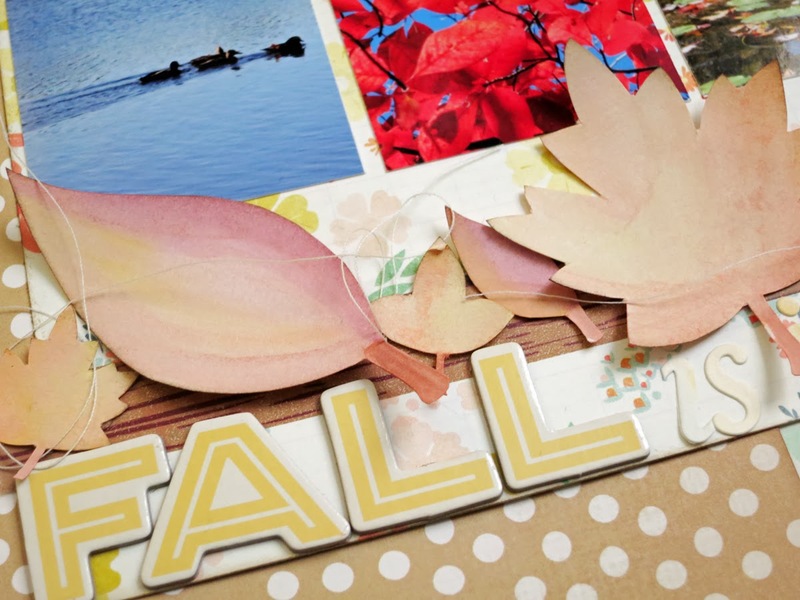 I love the soft colors on the die cut leaves! Beautiful layout!! Love the leafs! Thank you so much for playing along with us at LPS!